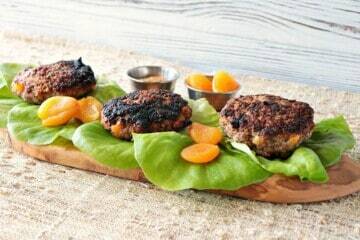 This low carb recipe for Savory Pork Burgers with Dried Apricots & Grainy Mustard comes together in a snap and with only 3 ingredients! By all means, if you want to add a bun, go for it!! The flavors in this burger are exceptional, with or without the extra carbs. The idea for this burger came to me while I was in the grocery store trying to figure out a tasty idea for dinner that night. 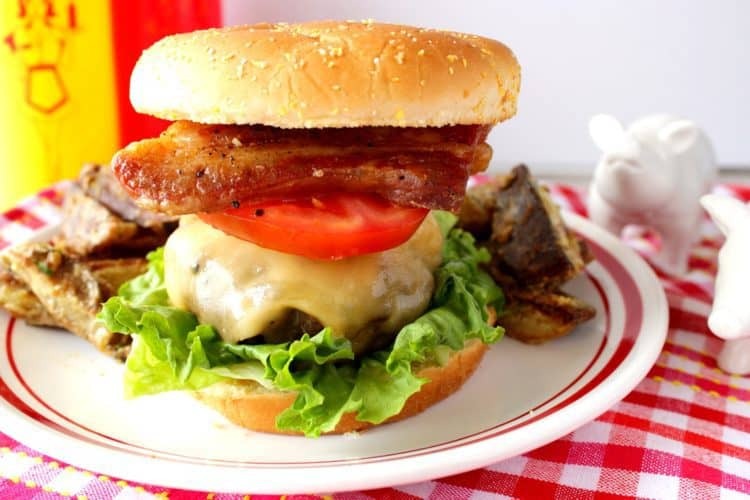 Since I love Swiss cheese, and my husband loves Cuban sandwiches, this burger is a delicious combination of the two and is something we both enjoyed. 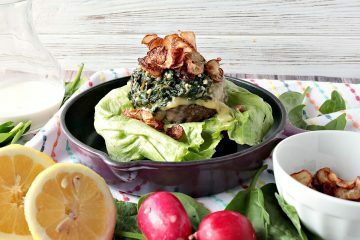 We love this Aloha Turkey Burger so much that the first time I made them, we gobbled them up so fast that there weren’t any leftovers for pictures. This time, I made sure to put one aside before we sat down to eat, and I hid it in the back fridge along with a note saying “save me” on the container just to be sure. How about whipping up these Italian Sausage Pizza Burgers for out on the grill? They’re the best of both worlds (pizza and burgers), and they take less time to get on the table than traditional delivery from your local pizza joint. Ground Short Rib and Italian Sausage Burgers PLUS Waffle Fry Nachos!